1 Methods to fix “This app can’t run on your PC” error on the computer. 1.5 Method 5. Reinstall the program. 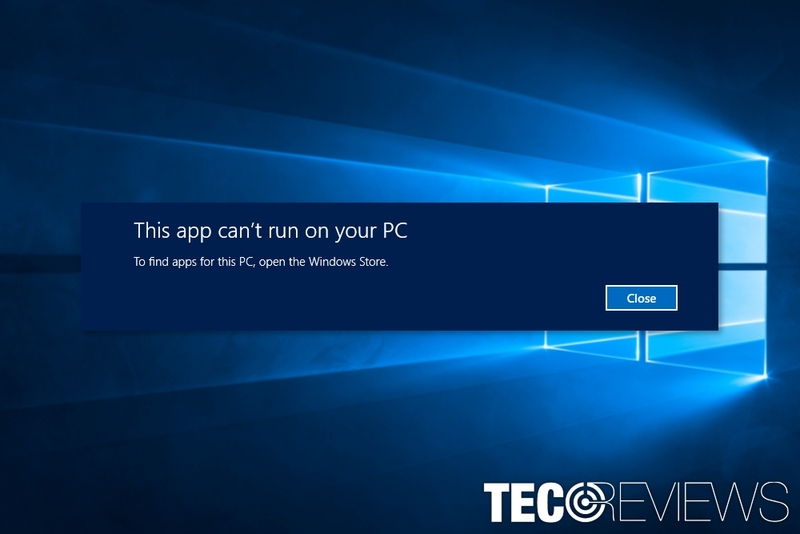 “This app can’t run on your PC” is a Windows 10 error that might occur when working with various programs. Indeed, there are numerous problems with the recent Microsoft’s operating system. However, if you are questioning whether you have not made a mistake by upgrading from the older OS version; we can assure that you made a right choice. Despite all the flaws and problems, it’s the safest version of Windows. For instance, the massive WannaCry ransomware attack on May hadn’t affected any Windows 10 users. Therefore, you can just simply fix “This app can’t run on your PC” error on your computer and enjoy the benefits of this operating system. Methods to fix “This app can’t run on your PC” error on the computer. Once you hit “Close” button, you have to check if the program that triggered the error does not have updates. Sometimes the source of the problem is missing updates. Once you install available updates, you should try to use the program again. If the error is gone, congratulations! If not, below you can find a bunch of methods that will help to fix “This app can’t run on your PC” error. 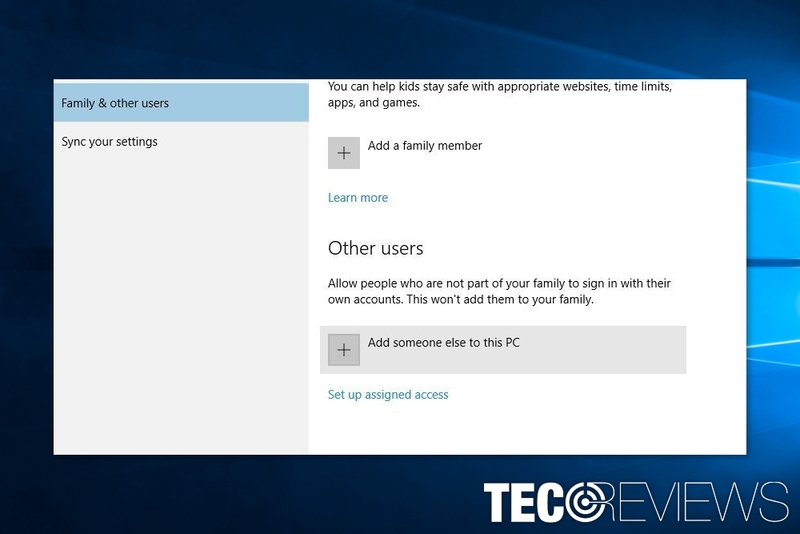 Access Settings app and go to Accounts, and choose Family & other users option. Under the Other users section, click Add someone else to this PC option. Select I don’t have this person’s sign-in information. Then choose Add a user without a Microsoft account option. Type the name and password for the new administrator account. Now you should see this new account in Other users section, so click on “Change account type” button that allows giving administrative rights to this new account. Choose Administrator from the Account type menu options and click OK to save the changes. Now you should use the problem that caused an error from the new account. If the error is gone, you have to transfer all the information from the old to new administrator’s account. 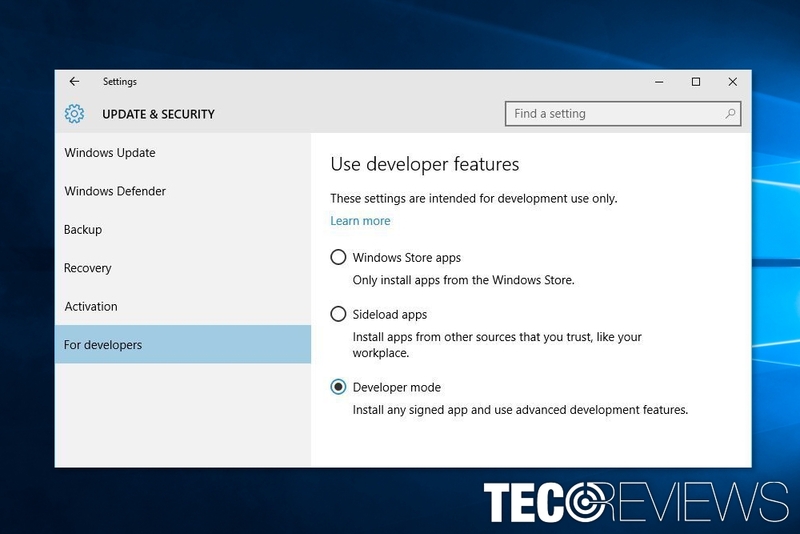 SmartScreen feature is supposed to protect Windows 10 users from malware and phishing attacks. However, it might misleadingly block legitimate programs. So you should disable it to check if it was responsible for the “This app can’t run on your PC” error. Enter smart screen in Windows search box. Choose Change SmartScreen settings from the appeared search results list. Navigate to Security and find Windows SmartScreen option. Go to Change settings option and choose Do not do anything (turn off Windows SmartScreen) option. In order to save the changes click OK. Enabling App Side-loading feature might help to run programs on the computer smoothly. As a result, this bothersome error might be fixed as well. From the Settings app go to the Update & Security section. Select Developer mode under Use developer features section. If the “This app can’t run on your PC” issue occurs when you try to use a particular program, you can create a copy of its executable (.exe file). Copy and paste it (or use Ctrl + C and Ctrl + V shortcut). Then run the program from the new executable. Hopefully, the error won’t show up again. Method 5. Reinstall the program. Open Start and go to Control Panel. If you cannot find it, take advantages of built-in Windows search box. When in Control Panel, go to Programs and access Programs and Features. In the list of programs find the one that caused an error and right-click on it. Choose Uninstall option from the appeared drop-down menu. Then follow the uninstallation guide and agree to delete all information related to the app. Once the program is removed, you can install it again. Go to the official website and download it from there, insert CD or use Windows App Store. When you reinstall the program, This app can’t run on your PC error should be gone for good. ^ Brad Chacos. 10 compelling reasons to upgrade to Windows 10. PCWorld. News, tips and reviews about PCs, Windows and more. ^ Bogdan Popa. Windows 10 Users Protected Against WannaCry Ransomware Attacks. Softpedia News Center. Latest news and reviews. ^ Jo Harder. The benefits of Windows 10 are hard to deny. TechTarget. The netwrok of technology-related blogs. ^ Christina Bonnington. Why Software Updates Are Important. Refinery29. Lifestyle website for women. ^ Chris Hoffman. How the SmartScreen Filter Works in Windows 8 and 10. How-To Geek. For Geeks, By Geeks.